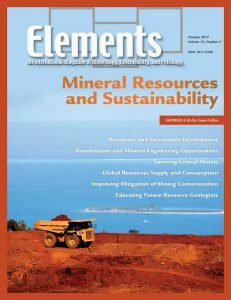 In writing an editorial for this issue on mineral resources, I was immediately reminded of The Limits to Growth (Meadows et al. 1972), a book that I read avidly from cover to cover as a young post-doc. For anybody interested in humanity’s effect on the environment and its near-term consequences, it is still a fascinating read. The authors summarised a computer model of the likely effects of sustained economic growth on the Earth and the human population. Based on historical data from 1900 to 1970, they observed exponential growth in total human population, resource consumption, food consumption, industrialisation and environmental pollution. Due to its impact on global climate, carbon is the element that currently dominates the public debate. 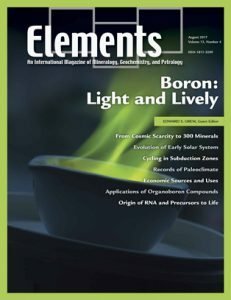 Why publish an issue on boron when the public is focusing on carbon? 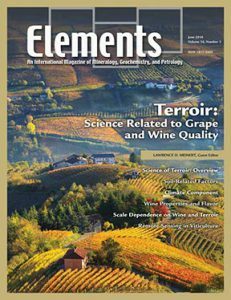 As you read the articles in this issue, what you will find is that boron is a “quintessential” terrestrial element. 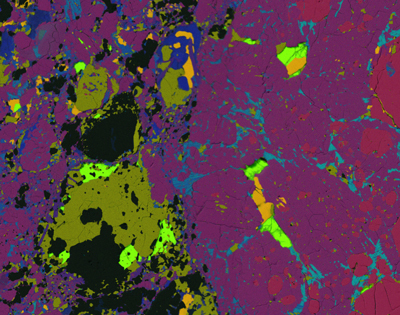 Although rare in the Solar System, Earth’s tectonic and weathering processes have concentrated boron within the Earth’s upper continental crust, where we are completely dependent on it for everyday life. 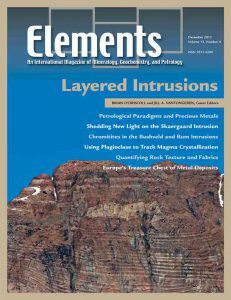 Rock and mineral coatings, the thin and fascinating varnishes portrayed in this issue of Elements, are found in deserts, soils, sediment, oceans, Mars and on buildings or other manmade structures. They record the legacy of millions of years of ocean circulation, thousands of years of climate change, and tens of years of anthropogenic contaminant dispersal. 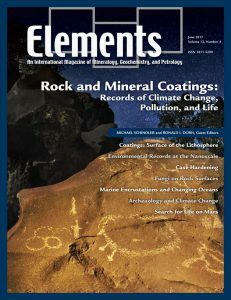 Rock coatings teach us how life can both dissolve and form minerals and how it can survive some of the most extreme environmental conditions. Our early ancestors used petroglyphs carved into these coatings to depict hunting scenes, religious and cultural context, and to communicate geographical, and even astronomical, information. On every continent (except Antarctica), we can view some of our cultural heritage, preserved over thousands of years. Rock coatings have even been spotted on Mars by the NASA rovers Spirit and Opportunity. 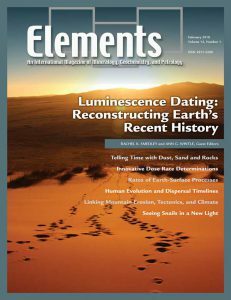 Elements magazine tries hard to be an internationally oriented and inclusive scientific publication. 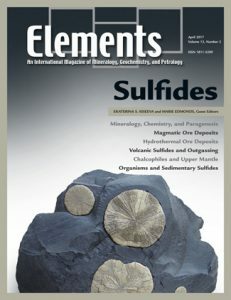 As such, Elements accepts texts written in American English or British English and it has been Elements’ policy to allow authors to choose between the American or British writing style and spelling. Our purpose in this is to pay respect to international differences and, as a result, help preserve these differences.